When invited to your company's Dashlane Business plan, you may already have a personal Dashlane account with a different login email. 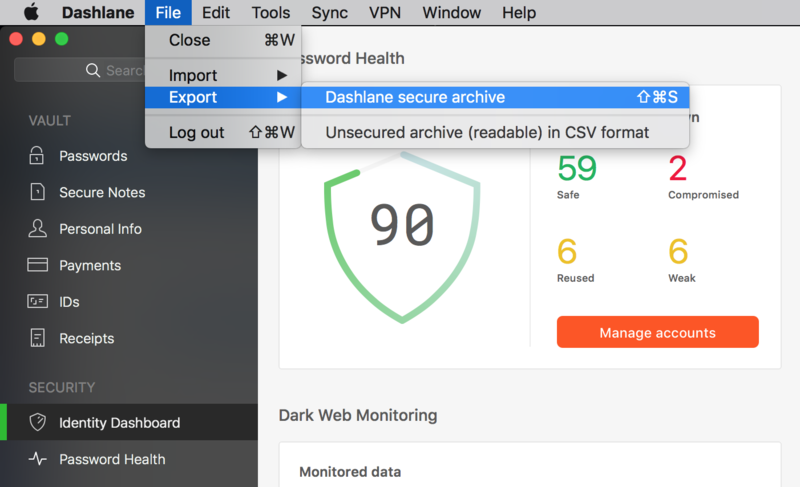 In order to combine the data of your two accounts, you can easily migrate your data from your personal account to your new Business one, using a secure Dashlane archive file. Note that you cannot create a backup from a mobile device (iOS or Android), but must use a computer (Windows or Mac OS X). Your whole account is exported in this process. It is currently not possible to export only part of your data. Once exported, you can rename and move the file wherever you like on your computer. When restoring from this backup, the file's name or location don't matter. When restoring data from a backup file, data from your whole account is then imported to the new account. It is not currently possible to choose to import only some of your exported data. 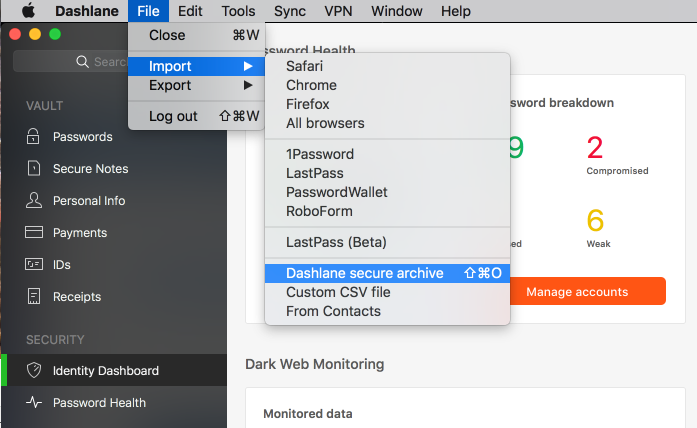 In order for you to not lose access to any Premium features, you can be subscribed to both Dashlane Premium and Dashlane Business plans at the same time. Should you be made part of a Dashlane Business plan and not wish to maintain your personal Premium subscription, please contact our User Support. To read more about what happens when you leave your Dashlane Business plan, please refer to this article.